TravelGumbo's mission is to create an interactive, fun way for all travelers to share their excitement of travel discoveries. 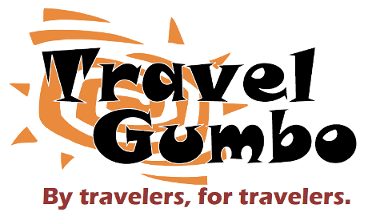 TravelGumbo was created in 2013. TravelGumbo is a platform for travel sharing. This website is a creative effort of a group of travel enthusiasts. We don't sell anything. We don't lead tours. We make our own journeys. We aspire to share the love of travel and our passion for it . We created this site to encourage interaction among travelers. We hope that you will join our community, enjoy TravelGumbo and use it often. This is a site with unique content - breaking travel news, travel information and ideas, blogs and terrific photography. Check Gumbo's Travel News for a heads up on current travel trends around our fabulous planet. See our Budget Travel section for great tips on affordable, useful quality travel. Find good value and unusual places to taste and rest in Restaurant and Hotel Reviews. Take a mini-vacation with Pic of the Day. This is the place to add your travel expertise, enthusiasm and opinions. Discuss concerns with travel buddies in Dialogs. Share your travel knowledge, trip experiences and photos in the Forums. You can also get help with your travel questions in the Forums. Ask others who have already been there . Have a great photo you'd like featured as a "Pic of the Day", or some interesting thoughts on travel you'd like us to highlight ad blogs or reviews? Send them to us. We will post as many as we can! We Gumbo Gurus love going out in the World to play, the same as you. Ticketing no longer scares us. We have made the tough packing choices. We thrive living out of a suitcase. We, too, have been hobbled by cobbles along medieval lanes. We have been caressed by wind moving over a glacier while on an alpine trail. We have lost travel sleep in a thousand maddening but memorable ways. We relish seeing cultures that are new to us. Still, we thirst for more discoveries. Travel is our lifestyle. Shared learning is our passion ! Share with others on this site. Enjoy your TravelGumbo experience. We go, so we know.